AMC attended two Orchestre de Paris, one at the Salle Pleyel and one at Cite de la Musique. But a bit of background first. When AMC was just a boy, he read "High Fidelity" and "Stereo Review" magazines from cover-to-cover, several times. 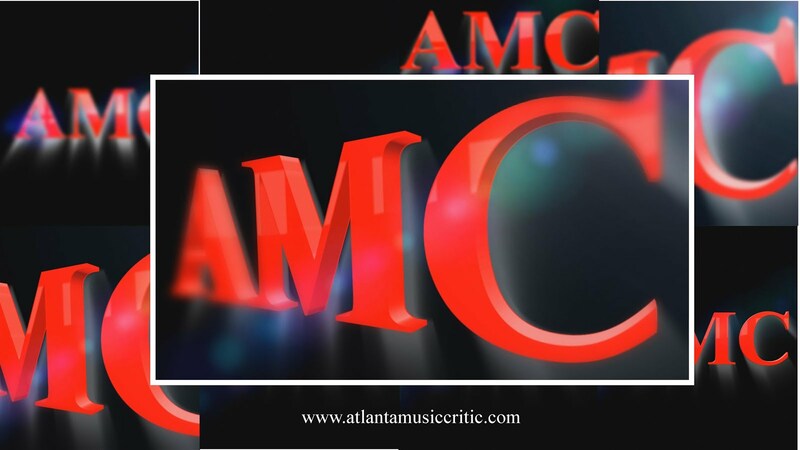 AMC particularly liked the record reviews, where both the performance and the recordings were rated on a scale. Reviewers were critical of French orchestras, including the Orchestre de la Société des Concerts du Conservatoire, which was the predecessor to the Paris Orchestra. The critics were constantly talking down French horn players because of their wavering tone (much like vibrato). Even now, the Paris orchestra never makes it onto any list of the world's best orchestras. Usually only German, American and London-based orchestras make the top ten. And in the top ten, only the members of the "Big Five" usually make it (the exception is the Philadelphia Orchestra- it dropped out of the top 10 in the 2008 rankings). AMC sees a certain bias in these rankings. and anyway, aren't rankings related to "Best" rather silly if there are no standardized criteria? So AMC was not expecting a great deal from the Paris orchestra. AMC was wrong. The first concert was at the home of the orchestra, the Salle Pleyel, with conductor Ingo Metzmacher (http://en.wikipedia.org/wiki/Ingo_Metzmacher). This is the third time this season that AMC has heard Mr. Ax. The first was in a solo recital in Lincoln, NE, and the second was with the Atlanta Symphony in Atlanta. All of this was chance, lest someone think AMC stalks Mr. Ax. The Mozart concerto is not as over-played as some of his later piano concertos so it still holds some interest for AMC. Mr. Ax performed beautifully and Mr. Metzmacher provided wonderful orchestral support. Only once did AMC think the balance between the orchestra and soloist was problematic. This was in the first movement where the piano was overwhelmed but I think this was more due to Mr. Ax being more pianissimo that was needed. Mr. Ax granted an encore in response to numerous curtain calls and the audiences rhythmic clapping. apparently that is so much more effective in eliciting encores than Atlanta's de rigueur standing ovation. The orchestra was seated in the European style, surprising AMC knows. AMC finds this seating arrangement to provide for greater definition between the first and second violins and enhancement of the lower strings. is of course the composer of interminably long symphonies that, to AMC's ear, requires a great of editing because so much of each piece contains so much repetitive music. The other characteristic of Bruckner's symphonies that AMC is not partial to is what AMC calls his "bellows" style of composing. If any of Bruckner's symphonies are seen in an audio editor, it is easy to see the very repetitive crescendos and decrescendos that appear at regularly occurring intervals throughout. Maybe the composer did this because of he was an organist, so AMC thinks the bellows analogy fits well. But for AMC this makes Bruckner's symphonies to be quite the soporific. By the very structure of the Mass with its various sections (Kyrie, Sanctus, Gloria, etc. ) the composer was forced to be a bit more spare in this composition. AMC believes that this structure helped Bruckner develop a stronger, less repetitive, and more focused style in the F Minor Mass. AMC also likes this piece better than the composer's symphonic output. For this performance, the soloists were seated on a riser behind and above the orchestra. The Orchestra of Paris' Choir was seated above and behind the soloists. AMC thinks this arrangement is far superior to usual arrangement of having the soloists to the right or left of the conductor. This was a noble, intelligent, superior performance. The orchestra was simply outstanding. The horns are supple and never seem to have intonation problems. After awhile, it was a relief for AMC not to have to anticipate a sour note, given that AMC has learned to anticipate errors from the hometown orchestra. In addition, the orchestra's musicians love to play music, and they communicate that with their physicality. The woodwinds are incredible. The bassoon's are outstanding. They move with the music just as much as the strings. In many US orchestras they tend to sit motionless. AMC thinks that being involved physically in playing makes for a much better, more convincing performance. The principal oboe player was also animated and stylish. The choir was phenomenal. Their tone and articulation was first class. Credit goes to their chief Lionel Sow, but also to Mr. Metzmacher who seemed to understand the relationship between the hall's acoustical environment and the levels at which both the choir sang, and the orchestra played. This ended up to be a real partnership between the orchestra, choir and soloists. At AMC's hometown, the chorus is thunderous and continually wrestles for dominance with the orchestra. The soloists were all top rate, with the possible exception of the Mezzo soprano, Ms. Pokupic. She had particularly difficulty initially- she seemed hesitant. She also had difficulty in her lower registers. But this was a grand performance of the first order. Maestro Metzmacher seems to thoroughly enjoy his job. He seems perpetually pleased with his musicians and he seems to have a constant smile. AMC love the acoustics of the Salle Pleyel. Every section of the orchestra could easily be identified in the acoustic place, even with AMC's eyes closed.. There was no smear in the sound when there are grand fortes. The hall resembles Atlanta's symphony Hall visually, but that is where the comparison ends. Both are simple and spare, but one is a sympathetic space for an orchestra and the other is not. The lobby areas of the Salle Pleyel are simple, with hardly any adornment, unlike the Garnier Opera House. But of course, adornment does not make an orchestra sound better. AMC noticed a few unimportant stylistic items. After the piano was tuned, a gray-suited gentleman took a polishing cloth to the entire piano. It was a classy touch. Also, the men of the orchestra wear some sort of jacket that looks like a cross between an artists' smock and a Nehru jacket. They also did not seem to wear conventional ties but rather some sort of scarf. It was not a good look! AMC had a bad experience with seating. AMC ordered his ticket through Classictic.com, and the computer chose his seat. Well that seat was at the very front of the first tier of seats on the left side. AMC was looking directly down to the concertmaster. AMC complained to an usher that his seat was terrible. The young man promised that before the concert started he would find AMC a better seat. After about 15 minutes walked back (and through a row of seated patrons) to enquire when he would hear of a new seat. The usher assured AMC that he would have a new assignment shortly, and to rest assured that he was not forgotten. Well AMC was forgotten. At the interval, AMC complained to a supervisor about the usher's lack of follow-through. Finally, AMC located a vacant seat 5 places behind where he was assigned. AMC's seating went from one of the worst in the house to one of the best. The house was nearly full with patrons ranging in age from children to seniors. That was nice to see. The second concert was in the concert hall of the Cite de la Musique, which is located far, relatively speaking, from the heart of Paris. This hall has only about a thousand seats. Click here for more information about it: http://www.medici.tv/#!/cite-de-la-musique-1. AMC thought the acoustics at the Cite were also quite supportive of an orchestra, even though it is one the smallish side. This is a flashy in-your-face-type of music that is a showpiece for every section of the orchestra. The piece is in a concertante form so that the piano becomes a first among equals part. this is the kind of music that American orchestras often avoid since it might tend to keep patrons away. And, with that kind of approach, patrons will never learn the power and worth of newer music. It also means over scheduling of Mozart, Beethoven and Brahms in the US. The Paris Orchestra played the music superbly. there was not a mistake to be found. The ensemble was outstanding, with each section of the orchestra playing as one and as if on fire. In this performance the percussion section was outstanding. At one point, AMC heard what sounded to be an organ pedal note. He looked around the auditorium to find the source, only to see that it was the bass drum. But the drum was so skillfully played that it was if an organ was holding one sustained note. In a less skilled hand this sustained not would sound like a series of strikes. Also, the tam tam player stood in front of his instrument, rather than at the side. He held the mallet behind him. This may have been because he was called upon to play the triangle also, but it was different. Mr. Anderszewski played well, but this auditorium made the sound of the piano a bit more distant than the orchestra itself, but both the soloist and Mr. Jaarvi seemed to accommodate. Mr. Anderszewski also reciprocated the audience's love with an encore. This was one wonderful performance. The Brahms Serenade No. 1 concluded the concert. It is a long piece, made up of five sections, lasting a total of about three-quarters of an hour. Each section sounds like a mini-symphonic movement with characteristic Brahmsian touches, such as duets between the horns and oboe, which were played without error and with great precision. Again the horns were absolutely incredible. The strings were lush, but not soppy. Everything was played precisely and Mr. Jaarvi keep the forward momentum of the piece. AMC thoughts this to be a fine performance. The house was about 90% full. AMC wonders how the orchestra can turn a Euro in such a small hall with vacancies. Maybe its government support.